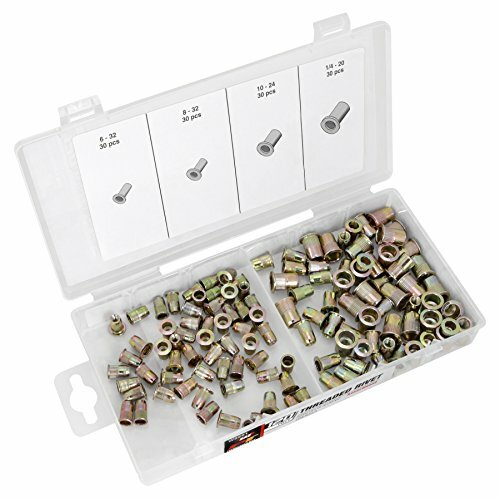 Performance Tool's 120pc assorted SAE aluminum threaded rivets allow you to easily install threaded nuts when only one side of the material is accessible. Sets threaded rivets into thin materials, including sheet metal, plastic and fiberglass Permanent and reliable fastening, ideal for hard-to-reach locations 120pc assorted SAE aluminum threaded rivets. 120pc assorted SAE aluminum threaded rivets.